All aboard the love boat! 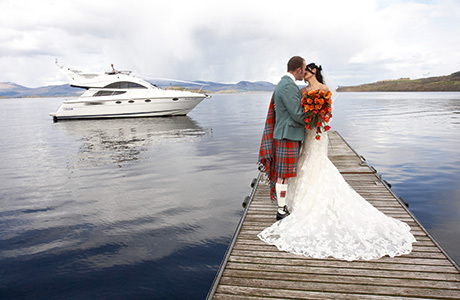 Is there a more sophisticated way to arrive at your ceremony than in a luxury yacht, such as the Loch Lomond-moored Beau Jangles? You can even have your ceremony on board, with room for the crew and ten guests. 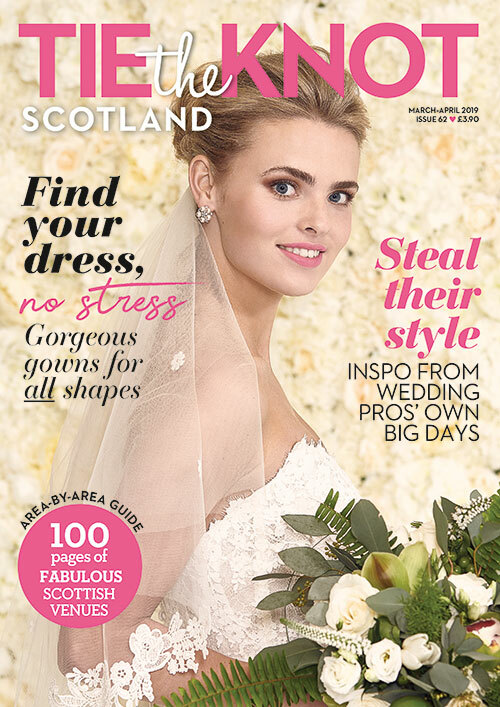 Afterwards, with the rest of your party assembled on the Lochside Terrace at gorgeous family-run venue The Cruin, you can make an entrance your guests will never forget. Don’t forget to have some stunning photos taken before you depart, though – with bonus points for your best bow-flying Titanic effort! It’s official: barns and farms are the coolest place to get married now. 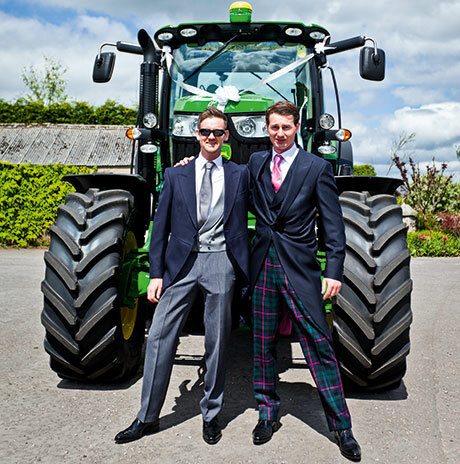 A 4×4 would definitely do the job, but if you really want to wow your guests and put a smile on their faces, a tractor is the only way to go. The couples we’ve spoken to who opted to travel this way admit you have to get creative, with many borrowing tractors from their families or even bribing local farmers, but all agree it was worth it in the end. 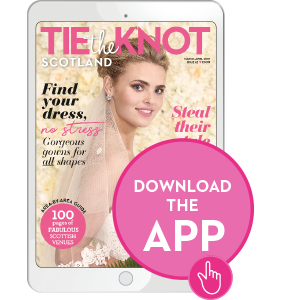 Ask your venue coordinator if they can help – and if they would allow this quirky option. Bachilton Barn is one venue that certainly won’t mind if you roll up in style. 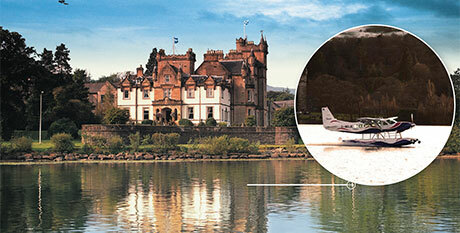 Cameron House’s reputation as one of Scotland’s finest venues is already well established, but what you might not know is that the hotel has its very own seaplane. Taking off just 50 yards from the front door, you can enjoy the stunning landscape around the hotel, including Loch Lomond glittering below in all its glory, and the rolling hills around the resort. It’s a great opportunity to spend half an hour together away from the madness of your big day. The jaw-dropping coastline around Trump Turnberry would look even more breathtaking from the skies, so why not consider chartering a helicopter for your grand entrance? You can land on the resort’s helipad, and there’s no need to worry new owner Donald Trump might beat you to it – there’s actually two helipads! 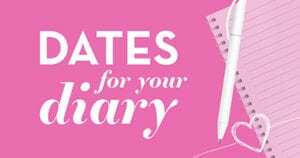 You’ll be flying high on your wedding day anyway, so imagine how much of a rush it would be if you had the altitude to match. An old exterior can often be misleading – Hugh Hefner certainly doesn’t act his age! – so that’s why the modern interior of the 19th-century Kinnettles Castle is so impressive. 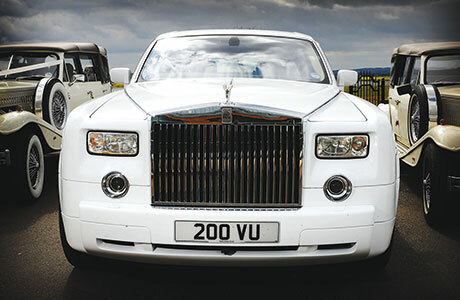 That’s what makes a Range Rover the perfect choice for this venue. Originally launched in 1970, the luxury SUVs combine classic and contemporary styling, and can negotiate the Angus countryside around the castle with ease. There’s a wide selection to choose from at 4×4 Vehicle Hire. Cromlix House, near Dunblane, was recently acquired by tennis superstar Andy Murray, so it’s only fitting that you spin up to this gorgeous Victorian mansion in a little sporty number of your own! S1 Luxury Hire’s Audi R8 V10 will please even the most ardent petrolhead. 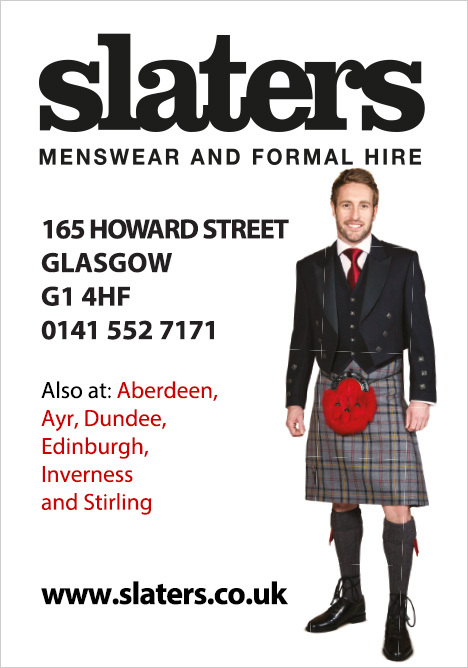 Both elegant and powerful, it’s not dissimilar to the famous Scot and his new fiancée. 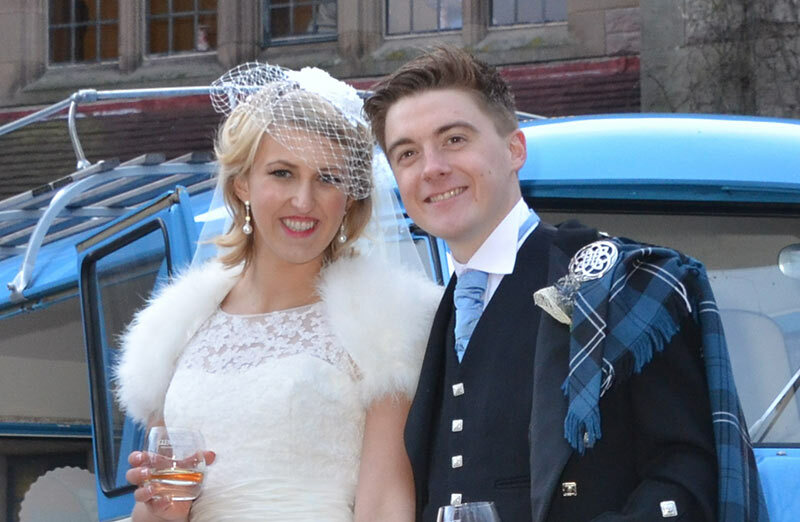 We’re sure Andy would go for something similar if he got married at Cromlix. 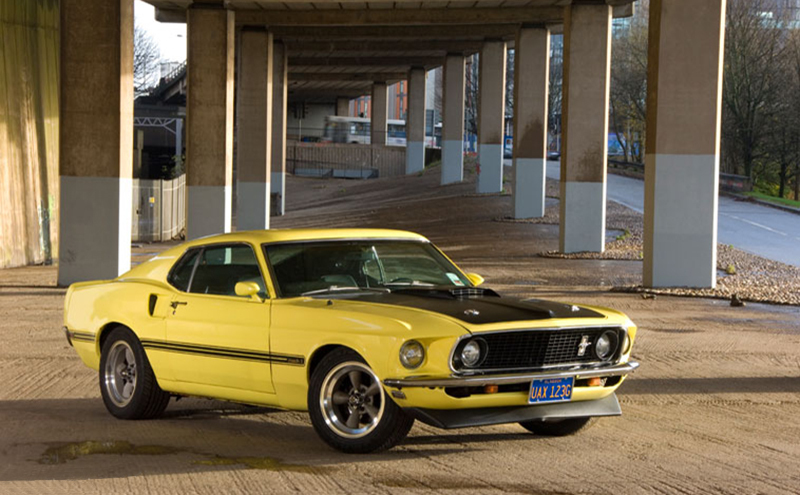 A traditional venue needs a car to match. 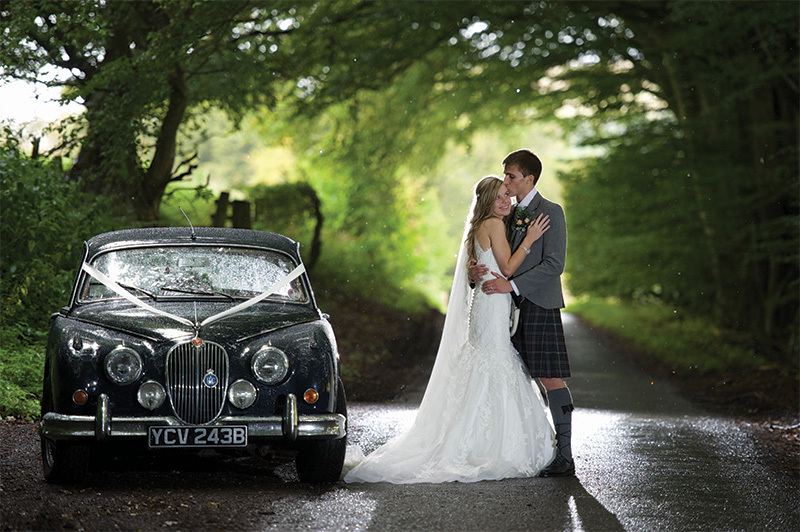 That’s why, since we have more castles than you can shake a sceptre at, vintage Beaufords are the number-one choice for wedding transport in Scotland. 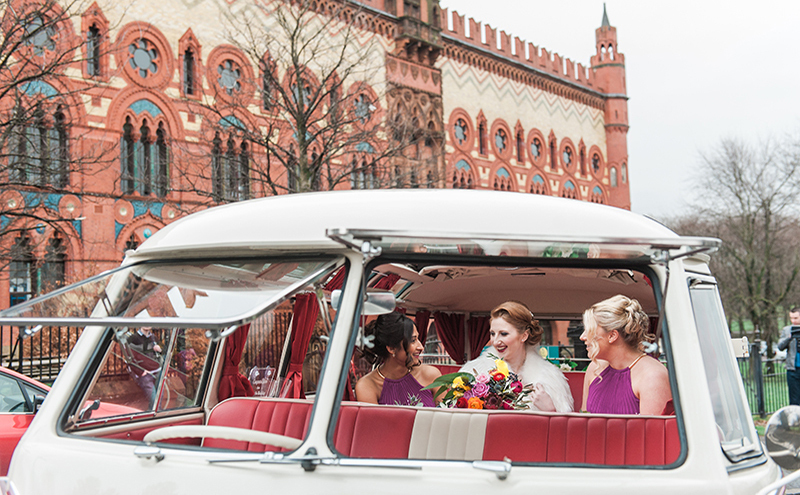 A sensational heritage venue such as the National Trust for Scotland’s Kellie Castle already provides a picture-perfect background for your photos, and a Beauford, like this elegant number from Top Class, is the cherry on a very regal-looking cake. Many venues are now set up to host your ceremony and wedding breakfast right through to the evening reception. 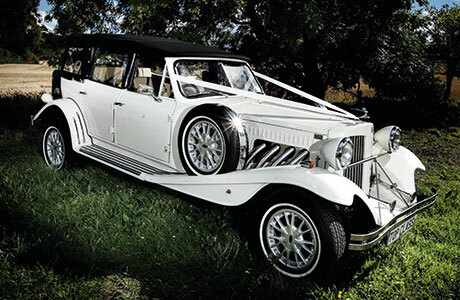 Since your guests might not see you arrive, you may be tempted to skip wedding transport. 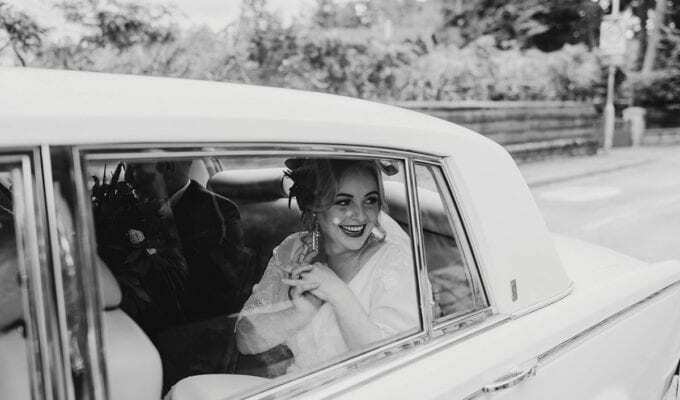 But Bathgate venue The Vu has introduced a selection of ultra-luxe cars into an already impressive selection of packages, meaning you don’t have to miss out on the special photos of your trip with your dad, and then new hubby. If your guest list tops 250, your venue options are limited. Luckily, although there’s not as much choice, you don’t have to sacrifice opulence. Stirlingshire’s Airth Castle can accommodate 300 revellers, but the next conundrum you’ll face is how to get them all there. 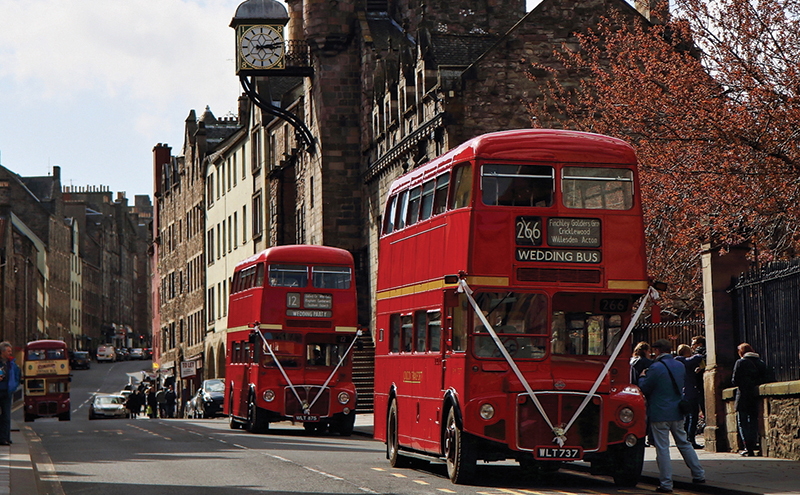 Organising a coach or two from a central meeting point is the easiest way to shuttle your guests to and from the venue. 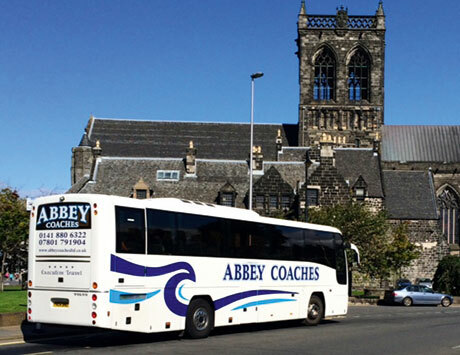 Abbey Coaches’ considerable fleet can whisk them there with ease, and home again, leaving you free to slink off to bed without a care.